hi folks, a friend on mine is looking at this model Yammy as an upgrade from a basic and introductory level Casio keyboard. Does the Yamaha support system for upgrades etc apply to this model or some later model? What is the first model level of support? Of course Yamaha maintains support internationally for all it's current models and recent models, but not sure how many years later it is required to keep available all support links. Support is generally easy to find for old or even vintage gear as many forums and enthusiast sites keep posted information. I am sure Yamaha currently has Australian support if you were to Google search from there. Here is the link from the Yamaha US site for support for the PSR-E453. 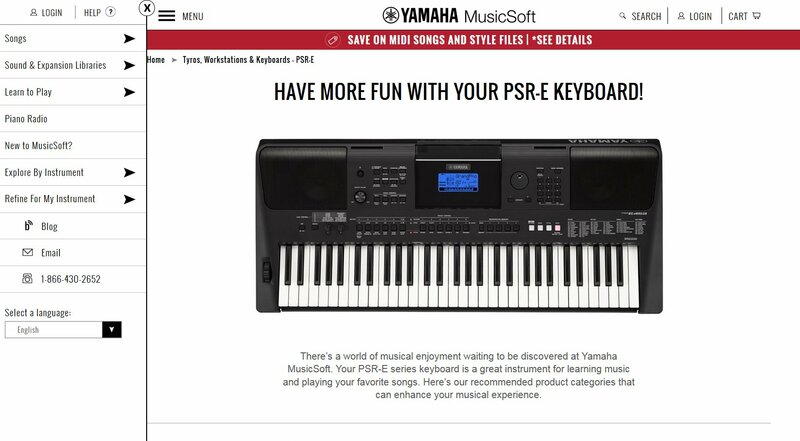 ...and here is the support resource site, "YamahaMusicSoft" for all your expansion needs, styles, midi songs, multipads etc. Support from Yamaha if fantastic with plenty of resources and the most styles. Also literally hundreds of thousands of free styles to search throughout the internet and Yamaha forums. Many thanks Marcus, that is very helpful. Do these have the ability to play "on bass" aka "slash" chords? The last time I checked, the entry-level Yamahas don't. This impedes learning and makes it hard to simulate some types of popular and religious music. Something like the Roland BK5 or Korg PA600 would be a better choice, especially if purchased secondhand from a popular auction site.